Do you know that you’re probably wasting as much as $350 out of your chimney EVERY YEAR without even knowing that you actually are? If the answer is no, then now you know. Fortunately, there’s a way to prevent that from happening, and that is with the help of chimney dampers. First things first; what exactly is a damper? For those who aren’t familiar with this term, a damper is a type of plate installed inside the chimney. This plate can be opened or closed, because it regulates and blocks the flow of air. Back then, dampers were installed in the “throat” of the chimney system – this is located above the smoke chamber. It Serves as a Protection – It’s important to cover your chimney for several reasons. For one, without some kind of protection, water can easily enter your home through the chimney. We’re all aware that water damage is almost impossible to fix. Not just that, it can also cause a number of problems such as, insulation damage, mold growth, and extensive water damage, not only to your ceiling, but to your walls and floors as well. Also, failing to cover your chimney can shorten its lifetime, because cracks and leaks will surface and this will continue to expand as more water enters the chimney. Thus, the Chimney Safety Institute of America advises its citizens to use a cover of some sort, such as a chimney damper in order to avoid themselves from spending much for the damages and repair costs. Prevents Animal Problems Without a chimney damper, animals can build a nest/home in you chimney, mainly because there’s nothing to keep them out and because they need the warmth in the chimney. Aside from creating noise, especially during the wee hours in the morning, if these animals die, the smell can easily penetrate inside your home, because there’s nothing to block it and this will be uncomfortable. 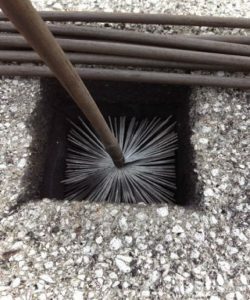 Furthermore, without a cover, other environmental debris can accidentally fall into your chimney – causing more problems in the future. Considering this, it’s very important to have your chimney covered and regular inspection should be done. A Way to Conserve Energy Without a cover or damper on your chimney, not only will the damper prevent animals and water from entering your home, but it’ll also enhance your home’s energy efficiency. Choosing a Damper – Now that you’re familiar with some of the benefits you can enjoy about having a chimney damper, the next step would be choosing the right damper. A chimney can either be covered with a damper or a cap. 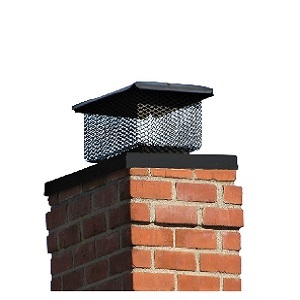 A chimney cap is composed of a mesh wire netting. This keeps the animals and debris away from your chimney, while giving proper ventilation at the same time. The Chicagoland Fireplace & Chimney Restoration can install a copper or a stainless steel cap that won’t rust for several years – especially if properly maintained, and it comes with a lifetime warranty. Likewise, you can also consider a top-sealing damper. 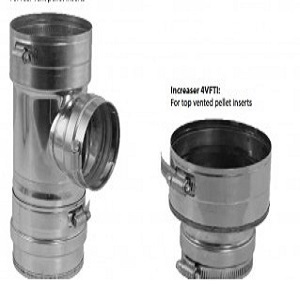 Just like a cap, this can be installed on the top flue, and can be opened and closed, depending on how you want it to be. Most people consider a cap more beneficial than a damper because it’s capable of keeping the water out of your chimney more effectively. On the other hand, a damper is considered to be better in a way that it can prevent drafts from entering your abode. The professionals at the Chicagoland Fireplace & Chimney Restoration will help you determine whether a cap or damper is best for your chimney. This will be installed by professionals in order to ensure that there will be proper water protection as well as ventilation. No Need to Settle for Less Overall, you don’t need to shoulder those ridiculous fuel bills nor let your home be cold and drafty. 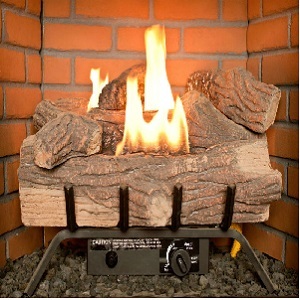 Likewise, opening your chimney damper doesn’t even need to be a chore. Chicagoland Fireplace & Chimney Restoration will ensure that your chimney will be fully protected and will last for a very long time. Lastly, rest assured that the dampers to be installed are easy to use, convenient, and clean. This will make you feel at ease that your utility bills will gradually decrease, without sacrificing the comfort level and the warmth of your home. Contact us today and we will have our best experts assess your home and make the necessary chimney installations and repairs for a better and safer experience.